Who Told Oprah to Lose Weight? Imagine anyone having the nerve to tell Oprah Winfrey to lose weight! That's exactly what Vogue Editor-in-Chief, Anna Wintour, did back in 1998, according to an interview with 60 Minutes. In the TV segment, which wasn't aired, but widely reported, Wintour said she had suggested the talk show host lose 20 pounds (9 kgs) to be on the cover of the fashion magazine, famous (or infamous?) for painfully thin, airbrushed models. "It was a very gentle suggestion," she said. 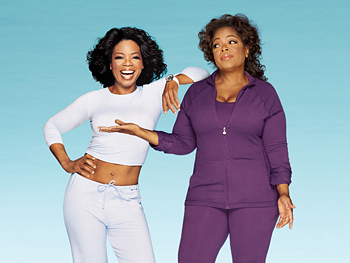 "I went to Chicago to visit Oprah, and I suggested that it might be an idea that she lose a little bit of weight. I said simply that you might feel more comfortable. She was a trooper!" Wintour said Oprah had taken her advice to heart and gone on a strict diet. The result was one of the magazine's most successful photo-shoots ever, she said. I pity the editor who tries that line today! Comments for Who Told Oprah to Lose Weight? It is mostly using by the online essay writing blogs. They were written lot of essay writing reviews for english students. So, every student is improving they knowledge and they got good result on every subject. Hi friends , I hope you know that loss weight is very imported part of everyone. Your post help us but in your post you should explain much more .